The local press are staying silent on two Labour Oldham councillors who have been suspended from the Labour party. 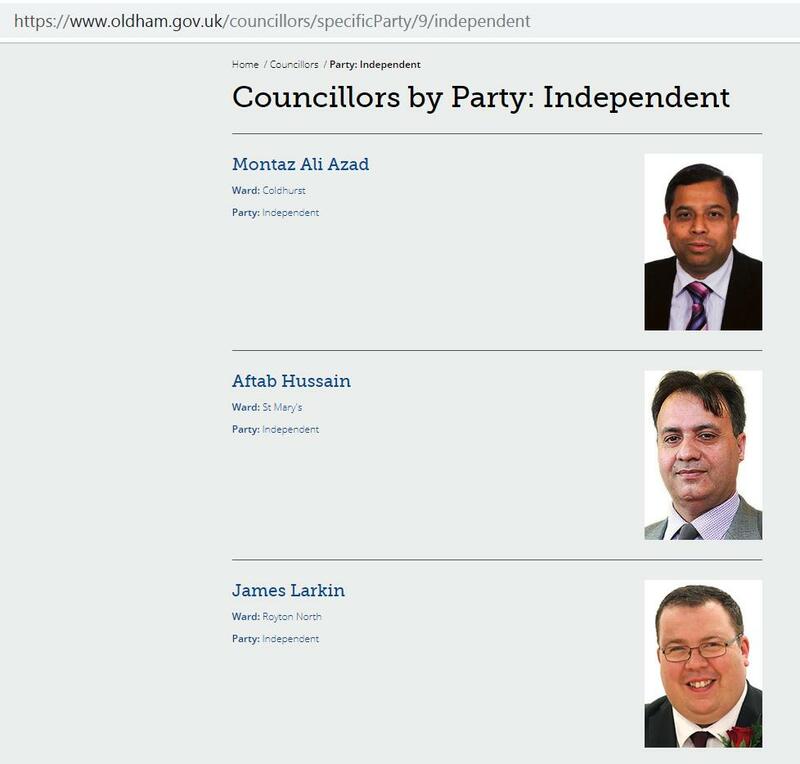 James Larkin from Royton and Montaz Ali Azad the Coldhurst councillor previously struck off as a company director for employing illegal workers are now both shown as independent Councillors on the Oldham Council website. As to be expected no public announcement has been made and the reasons for the suspension remain a mystery.